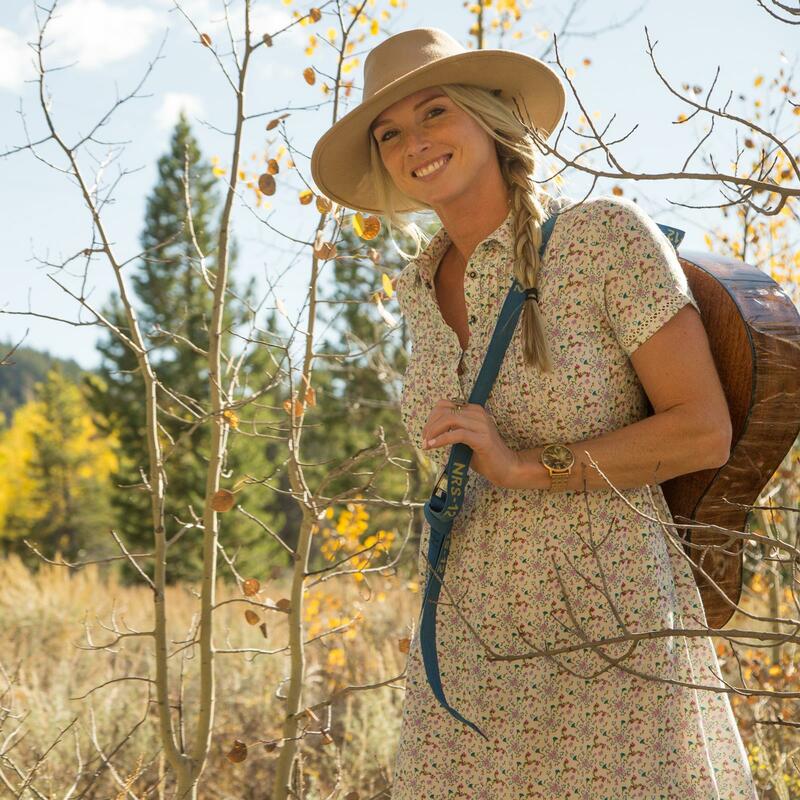 Dolly Parton's song about the beautiful, independent and strong Wildflower resonates perfectly with this dress. Our silky-soft rayon plain weave fabric features MK's custom Rocky Mountain wildflower print. More compliments than you think possible. My wife bought this dress a few years back. It is her favorite summer dress. We go to Red Ants Pants music festival every year and it is always hot as a toaster oven during that weekend. She loves how cool she stays in the dress (even though it is dark blue) and EVERY time she wears this dress she gets compliments constantly on the dress. She was so happy to see its still in production and just ordered another one. The one she has doesnt even show wear and she has worn it countless times. This is my go-to for the summer. Comfortable, versatile but super cute. I get compliments every time I wear it. It runs a bit big. This dress is super versatile. I wore it on Easter Sunday and then to an outdoor festival the following weekend. It's my go-to. It's comfy, flattering, and the pockets are crucial. I have and love the “old” version, so you’d think coming back for more would be love all over again. The old fit was weird but I sized up; this time around, the dress was small across my shoulders in my usual size and huge everywhere when I sized up. I’ll just keep wearing my old version.